SP Chassis number 2076. Built by Hillbank in California in 2005. Custom motor build from Roush Racing mated to a TKO 5 spd transmission. One of a kind roller cam tuned to 600hp with 800cfm Holly carb. Car is incredible with only 1000 miles. This setup will walk a Roush 427R all day long. Options include: Heater, 17” Halibrand wheels with Nitto tires, custom leather seats, custom tuned side pipes that have been heat coated, power brakes (never seen another one with that option), fire extinguisher, custom aluminum fuel tank with clear coated exterior, race jack bumpers, factory tonneau cover, factory soft top and side windows and Xpel clear bra on front of car. All factory manuals included as well as original build receipts. Have extra set of wheels available too for purchase as well as sport steering wheel and short throw shifter. This is the baddest color combo on the planet and the car pulls like a freight train all the way to 7K RPM. 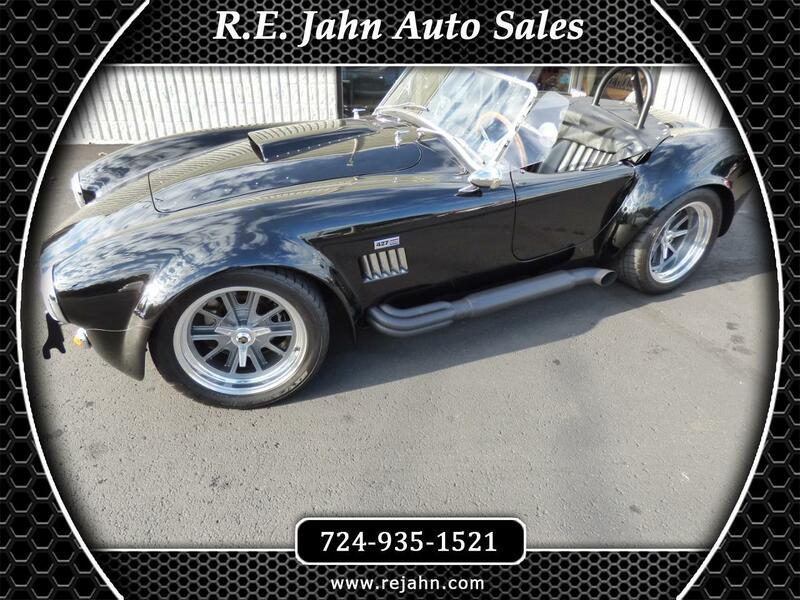 Call us to make an appointment to see this custom Superformance MKIII. Build today would cost well over $90k. Fresh PA inspection, valve adjustment, all new PTFE fuel lines, new plugs, new fuel tank, fluids and Optima battery. Message: Thought you might be interested in this 1965 Superformance 427 S/C COBRA.